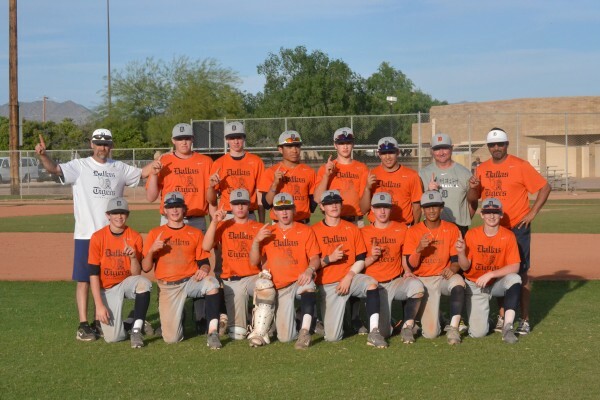 The 14U Dallas Tigers coached by Tommy Hernandez ran the gauntlet to win in the finals at USSSA Spring Championships Dual Super NIT in Phoenix, Arizona last weekend. Tigers pitchers completed 3 consecutive complete games in bracket play to get into the finals with a notable win over Garciaparra Baseball Group (GCB) out of California. Finding themselves down 5-2 to MVP Elite Banditos, the Tigers found a way to come back to win.